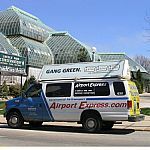 We provide affordable, reliable transportation services between Midway Airport and hotels in downtown Chicago. Our drivers go through the National Safety Council's defensive driving course. Our drivers provide transportation to Downtown Chicago. 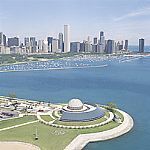 CityPass is the revolutionary visitor-friendly program offering six famous Chicago attractions at one packaged low price. Chicago CityPass saves you 50% - no need to wait in line, either!